Otis Ausmus was born March 28, 1925 in Marshall, Texas. From 1949 to 1950, he was an accountant for F.W. Woolworth in St. Louis, Missouri. He then came to Waco where he worked for Smoot-Anderson until 1953 when he was hired to be the Chief Accountant at the General Tire plant. Towards the end of his career, he worked for Delta Steel Strapping in Longview. He became a Mason at Keystone Lodge # 243 in St. Louis, Missouri in 1948 and transferred his membership to George N. Denton Lodge of Lorena in 1951. In 1958, he removed from that lodge and became a member at Waco Lodge where he became very active not just in our lodge but in other masonic bodies nearby. 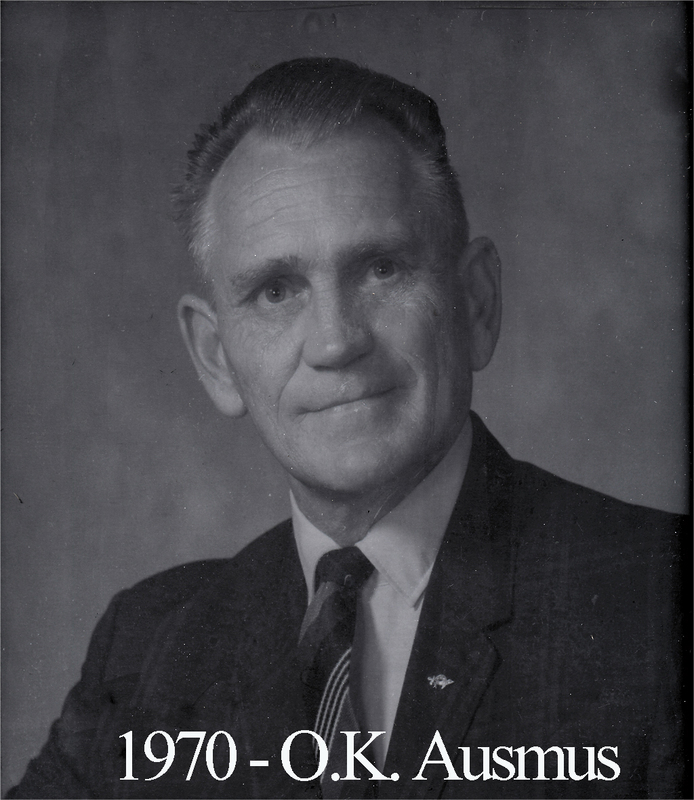 Brother Ausmus served as Master of Waco Lodge in 1970. He received the Silver Beaver Award for many years of service to the Boy Scouts in 1967. The Ausmuses moved away from Waco shortly after his tenure in the East. Otis Ausmus died on March 1, 1993 in Longview and is buried there.